The South African government reportedly denied a visa to the Dalai Lama, preventing him from attending the World Summit of Nobel Peace Laureates to be held in Cape Town this October. The Dalai Lama was awarded the Nobel Peace Prize in 1989. He had attended the last three gatherings of Nobel Peace laureates, held in Warsaw (2013), Chicago (2012), and Hiroshima (2010). The Dalai Lama’s South Africa-based representative, Nangsa Chodon, told Reuters that he had “informally received contact His Holiness won’t get his visa.” The South African foreign ministry denied that it had rejected the Dalai Lama’s visa application, saying instead that the Tibetan spiritual leader had canceled his trip. This isn’t the first time that the Dalai Lama has faced difficulties traveling to South Africa — his visa application was denied in 2009 when he sought to attend a peace conference. In 2011, when he sought to attend Archbishop Desmond Tutu’s 80th birthday celebration, the Dalai Lama’s visa application was delayed so long that a South African court decried the “unreasonable” processing time. The two countries also are seeking closer ties in the military sphere. Solly Shoke, chief of the South African National Defense Force, was in Beijing in late August, where he met with Chinese Defense Minister Chang Wanquan. Both sides agreed to expand their bilateral defense cooperation, particularly through increased mil-to-mil exchanges and high-level visits. China-South Africa relations have received a boost in recent years from the two countries’ interactions at meetings of the BRICS group (Brazil, Russia, India, China, and South Africa). Xi Jinping and South African President Jacob Zuma held a bilateral meeting on the sidelines of the 2014 BRICS summit in Fortaleza, where the two men agreed to continue to seek closer cooperation on international and regional affairs. Zuma is expected to visit Beijing later this year. Allowing the Dalai Lama to attend a Nobel Peace laureate summit in Cape Town would have threatened to derail the progress being made in China-South Africa relations. Beijing generally reacts angrily when the exiled Tibetan leader is allowed to attend high-profile events in other countries, and that anger can extend beyond diplomatic formalities to have real-world consequences. In 2012, when British Prime Minister David Cameron met with the Dalai Lama in London, Beijing responded by cancelling bilateral ministerial meetings. For over a year, there was no meaningful diplomatic contact between the two governments, while Beijing pointedly favored the U.K.’s European rivals, France and Germany, with diplomatic visits and economic agreements. 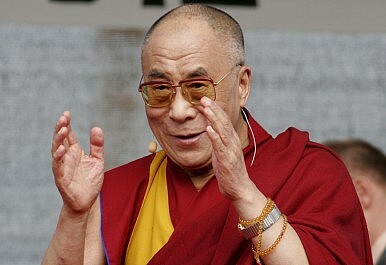 South Africa was unwilling to risk Beijing’s wrath by having the Dalai Lama attend the event in Cape Town. However, not everyone is happy with the decision. Cape Town mayor Patricia de Lille, who is also the organizer of this year’s World Summit of Nobel Peace Laureates, expressed her hope that the Dalai Lama would be granted a visa. She warned of “international humiliation” for South Africa should the Dalai Lama be turned away.